Product Design vs Machine Tooling Design, What’s the Dif? 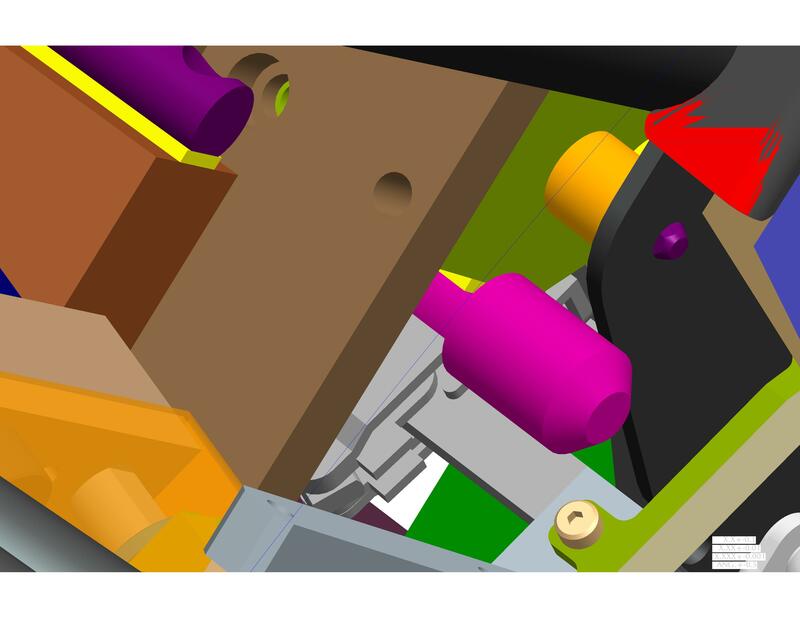 What are the two main differences between product design and machine tool design? Right off the bat I think of two main differences between designing a product and designing machine tools. When designing a product there may be numerous design reviews, you may spend a whole year or longer between conception to tweaking the design, testing it for market appeal, functionality, safety, costs… the list can go on. And many of these reviews don’t happen just once. Then, when the product gets very close to completion, the manufacturing team starts planning for production. What parts will be assembled at what stations. And the Manufacturing Engineers and Managers start working on planning the design of the production machines. Once the product is getting close to release for production, there is a rush to get the machines, designed, built, and tested fast. The time line for a Machine can be as little as 1 month. Some of the more simple tools are created on the fly as the product moves into production and the need is discovered. One thing I hear from those who move over to machine tool design from product design is that in machine design the available stock size matters. With each new manufactured part you need to think about using nice numbers so that the part can be manufactured easily with the least number of surfaces having to be finished. A machine tool designer is always looking up stock sizes. And every time the designer has to change the size of a part they have to think about stock sizes and which surfaces will need to be finished. When a machine designer can avoid finishing a surface, he/she saves build time and material, reducing the costs of the machine. So we must always check our stock sizes, and try to make the mounting surfaces stock dimensions. This way we avoid having to machine a nice mounting surface if we don’t have to. When a piece of metal is saw cut, the surface is very rough and may not be square to the other surfaces. So mounting surfaces need to be stock or finished in most all applications. Hot Rolled Steel is so rough even as stock, it needs to have all it’s mounting surfaces finished. We use Hot Rolled Steel for weldments only, and cut a minimum of a 1/8 inch off the stock size to make a nice finished surface for mounting other parts onto. We still make every effort to consider stock size when creating weld fixture parts. Two companies that we refer to a lot to find out what stock sizes are available are Central Steel and McMaster Carr. http://www.centralsteel.com for cold and hot rolled steel and aluminum and sheet metal. They have angles, tubes, rounds also. http://www.mcmaster.com for harder steels or other metals not found in the Central Steel catalog such as A2 and 4140 PH (Pre-hardened). So Product Design vs Machine Tool Design. If you have experience in both, what differences have you noticed? RECEIVE a FREE Quick-reference Tool on Dowel Holes. Anyone who signs up for “Education and Updates” … in April 2012 ….by filling out the form on the right-hand side of the Rentapen web site will receive in their email Rentapen’s Quick Reference Guide to Tolerances for Dowel holes. This is a handy item to keep on your desk top. So sign up today for “Education and Updates”. We email updates when we issue or new blog or press release (about twice a week). Rentapen Inc., located In Waukesha, WI has added a brand new free service to their website. Rentapen is proudly introducing their 3D CAD Models. 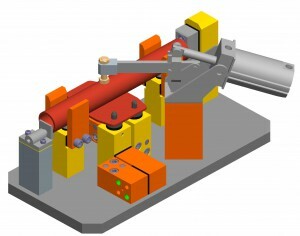 The 3D Models will be the new American standard for the Machine Designing Industry. 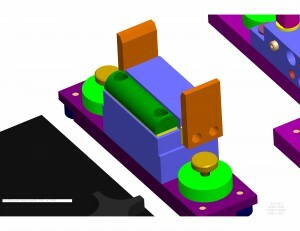 Rentapen’s new 3D models will change how Machine Design Engineers and CAD Drafters design their weld fixtures for the better. 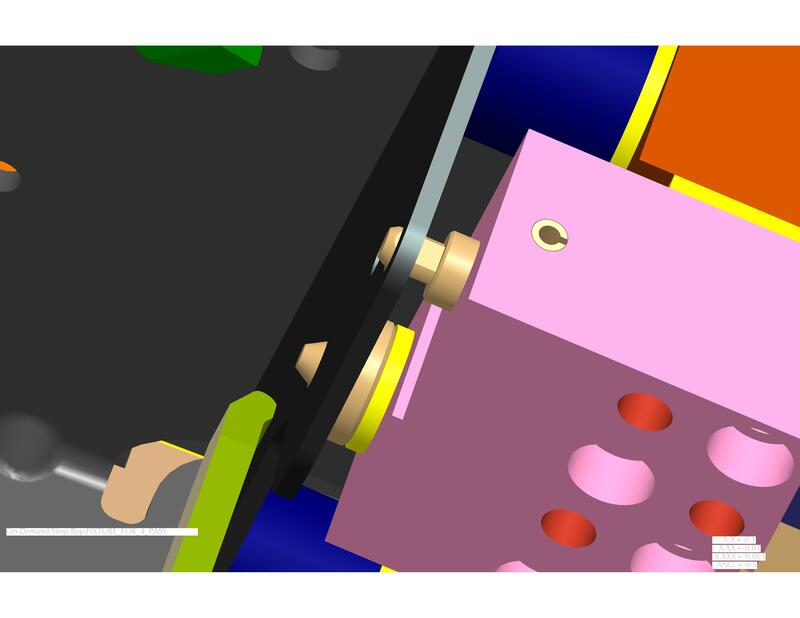 The 3D Models will greatly reduce machine design time. Machine Design Engineers and CAD Drafters from the U.S. will now be able to go on to Rentapen’s website and perform quick and easy steps to make a better weld fixture that will save them time and money without having to leave their chair. The components are used in fixtures to help locate and hold the product that is being welded or assembled. 3D Models can be altered to meet your needs. For instance, RAPid Blocks™ can be ordered with only holes in one end. 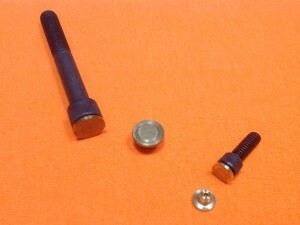 In the past, customers would buy the RAPid Block™ and then have to put it in their CNC or take it to another vendor to place a hole in it to hold a locating pin or a rest pad. Now Rentapen does it all. Saving costs, time, and hassles for manufacturers. All of Rentapen’s RAPid Tooling Components™ are made in the U.S.A. This is in line with Rentapen’s vision as the U.S. Leader in machine design and tooling components. “We have adopted the RAPid Tooling Components to design and build with because of the flexibility, durability and extreme repeatability that they allow us to have in the areas that require quick accurate dial-in,” said Don, tooling manager at one of Rentapen’s long term customers. “Rentapen earns their customer’s enthusiasm because we enjoy the opportunity to provide efficiency by design, expertise, and very convenient service,” said Susan Straley, President of Rentapen Inc.
Rentapen is dedicated to reducing costs for manufacturers. And their new free 3D service will greatly help manufacturers continue on their lean journey. “We are very proud to provide this time and cost reducing service. 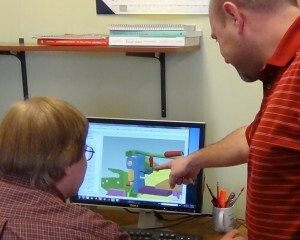 We invite machine designers to come play with it and let us know what you think!” said Straley. Businesses must enhance a culture of constant learning in order to survive and thrive. For example: Rentapen Inc., located in Waukesha, WI is a machine design company that has emphasized learning in their culture statement. Rentapen has thrived during these poor economic times by embracing their culture to learn more everyday. First, is mentoring and buddy-up. Rentapen’s employees all have a mentor to go to for inspiration, questions, second opinions, etc. For example, Rentapen’s design engineering team all work together in order to get their customer’s 3D designs done more efficiently. Senior Design Engineer, Chris Doll, is always there to answer any questions or concerns that any of the fellow CAD Drafters might have. Also, Blake Peterson, Design Engineering Manager is there to help manage the team, stay organized with all design work, and follows up with all new and existing customers. Second, is apprentice or internship. Rentapen is involved with WCTC’s Internship Program, which is an opportunity for companies to hire students for a period of time in order for the students to gain more workforce experience. Last year Rentapen took on two interns. Peter Christiansen, who was Rentapen’s IT Programmer Intern, and Kory Maier, the CAD Drafter Intern. Both interns were hired as full time employees by the end of 2011. 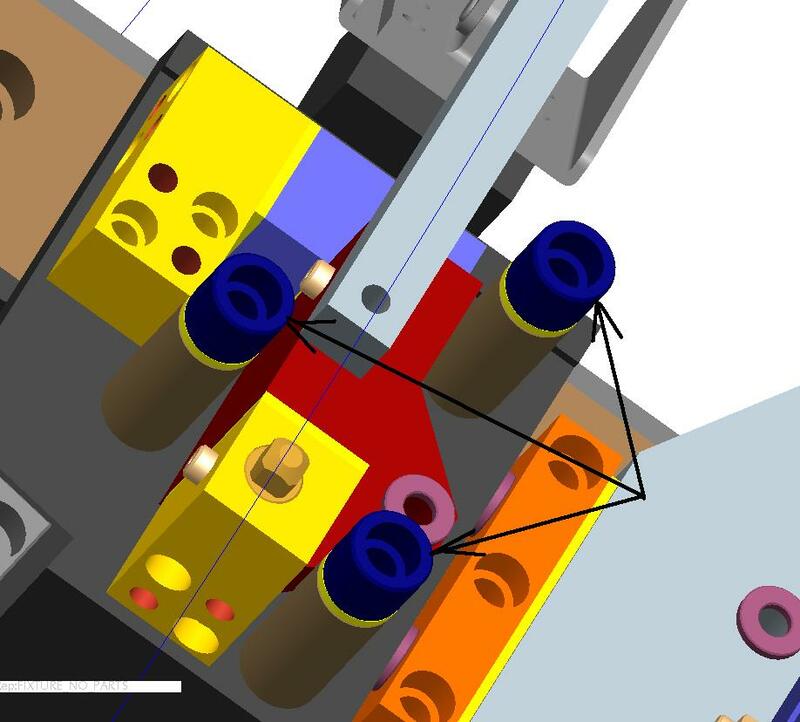 Third, is “Blogucation.” Rentapen’s President and Queen of Lean Machine, Susan Straley, has created a Blog informing the world on Weld Fixture Design. The Weld Fixture Blog teaches beginning machine designers and CAD drafters about weld fixture design. The Weld Fixture Design Blog also demonstrates how to use Rentapen’s standardized yet versatile RAPid Tooling Components™. Finally, is a fast-track training program. Rentapen offers many resources for all the different departments in the company, in order for employees to gain more knowledge while they work. For instance: the internet, textbooks, and other team members are all accessible at Rentapen Inc. These resources help Rentapen’s employees learn faster and more efficiently. Rentapen provides jobs, training, and opportunities for people who work together to help manufacturers reduce costs of tooling to make their products. “It is only with the dedication to efficiency, excellence, and customer service by every team member can we retain our customers and fulfill our mission,” said Straley. In weld fixture design we often use the holes in the product for locating the product part in the fixture. What do you think designers should ask when considering pinning a hole? The location of the hole in one product part can be precisely located in relation to the other product parts it is being welded to. This is done by using the right design methods. Major design difficulties can occur if some questions are not addressed before starting the 3D modeling process. What do you think designers should ask when considering pinning a hole? 1) Is the hole location critical to the other parts it is welded to? If it isn’t it doesn’t mean I WON’T pin the hole, just that maybe I can use a looser tolerance between the pin and the hole diameters, and I won’t need to use an adjustment shim pack to fine tune the locations of the pin. 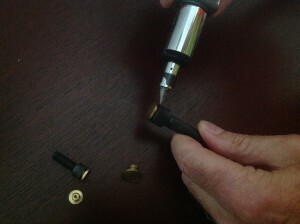 2) Will you be able to get the product out of the fixture if you pin the hole? Or, do you have to remove the pin before you are able to remove the product from the fixture? We will be going over how to use a straight action clamp in weld fixture design for removing a pin in future blogs. 3) Are there other holes in that same product part that are pinned? You need to take care here because you need to understand that there will be tolerance issues between the holes. 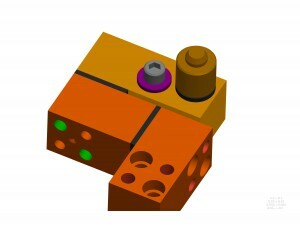 Yet , two holes makes it easy to locate the part at just the right angle. 4) Will you need to rough locate the part before it is pinned so that it is easier and faster for the pin to find the hole, or the hole to find the pin? For example, The product parts are dark gray. In this picture, the pink round part is a rough locator, along with other locators it gets the product part in close proximity to perfect. Then the removable purple pin with the help of a straight action clamp moves into place to hold the part in the perfect place while it is being welded. 5) Will you use a shoulder pin that can also act like a rest pad? Shoulder Pins Can Be used as Rest Pads. In this picture the left pin is a shoulder pin. The product plate (in dark gray) rests on the shoulder. The yellow part underneath it is a metal precision shim pack. 6) How will you prevent weld splatter from making the pin get stuck or welded into the hole? As you see in the picture, the pins have chamfers on the ends where they protrude through the product plate. The pins should be harder than the material you are welding. That makes them last longer in the fixture and reduces the likelihood that the weld splatter will stick to them. The material of the pin depends on the material you are welding. In some instances you will need to add guards or shields to protect the pin from the weld splatter. There is also a protective coating that can be added to protect the pin from the weld splatter sticking to it. Did I miss some questions? What else would you consider? Please share this with a manufacturing engineer or machine builder that you know. We always can learn from the welders, assemblers, machinists and managers who work with our designs every day. Do you know someone with some singing or rapping talent? Video tape them singing our Shim King song and we will post it on our shim page and tweet it!